The number of Americans that filed for consumer bankruptcy in 2009 rose 32% to 1.47 million from the previous year, according to the Administrative Office of the U.S. Courts. The number of Chapter 7 filings rose 41% in 2009, and Chapter 13 filings rose 12%. The "figures confirm the economic stress that businesses and consumers continue to endure. As more families and businesses seek the financial relief of bankruptcy, the filing totals are likely to surpass last year," said Samuel Gerdano, executive director of the American Bankruptcy Institute. Should you file for bankruptcy if you're facing a mound of credit card debt and other bills? Bankruptcy should never be your first choice to clear up debt, but if you find yourself heading in that direction here are a few things to know. 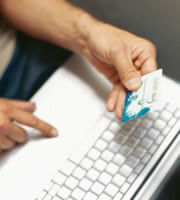 A Chapter 7 bankruptcy occurs when a court discharges most of your unsecured debt, such as credit cards. The court may liquidate some of your assets to pay off creditors. If your property isn't worth much you may get to keep it. When you file for Chapter 7 an "Order for Relief" goes into effect, which basically stops most of your creditors from trying to collect on credit card debt and other bills you owe. Creditors are not allowed to garnish your wages, take money from your bank account, go after your home or other property, or cut off welfare benefits. Certain debt, such as child support payments, taxes, and student loans, usually are not discharged in a Chapter 7 bankruptcy unless the court allows it. Filing for a Chapter 13 bankruptcy results in the court setting up some type of payment plan for your debts. Chapter 13 only occurs if you can prove you have enough income for a payment plan. If you have too much debt you won't be able to file for Chapter 13. Instead of handing over property to be liquidated, you get to keep it. You'll have three to five years to pay all or a portion of what you owe to creditors. However, the payment plan is structured so that higher priority debts such as child support, taxes, or your mortgage are paid off first. Credit card and other unsecured debt only get paid if you have enough disposable income to put toward them after higher priority debts. Depending upon your situation you may not be required to pay back unsecured debt. A bankruptcy stays on your credit report for 10 years and sends your credit score plummeting. When you file for bankruptcy it's important to have good counsel. Find a reputable credit counselor and attorney who can guide you through the process. 0 Responses to "Credit Card Debt and Bankruptcy"